Happy Monday everyone! Recently, I went to Moisson village in France, which is 1 hour drive from Paris. I have been to France numerous times so this time, I wanted to visit a typical French village to explore the quintessential French lifestyle. It was a family holiday so we rented a house in Moisson village overlooking the famous river Seine. We used airbnb and the house was so pretty, I will share photos in my next posts. So look out for it. 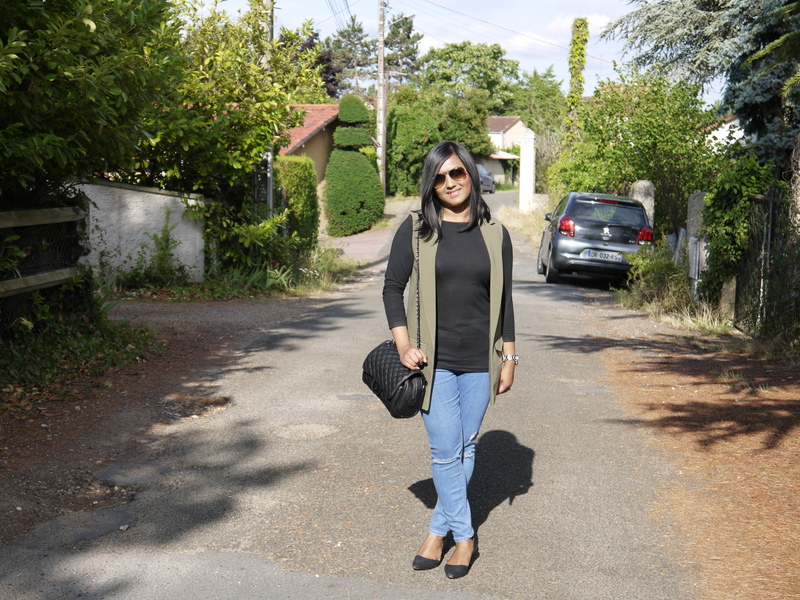 In today’s outfit post, I am sharing my outfit from second day of the trip. 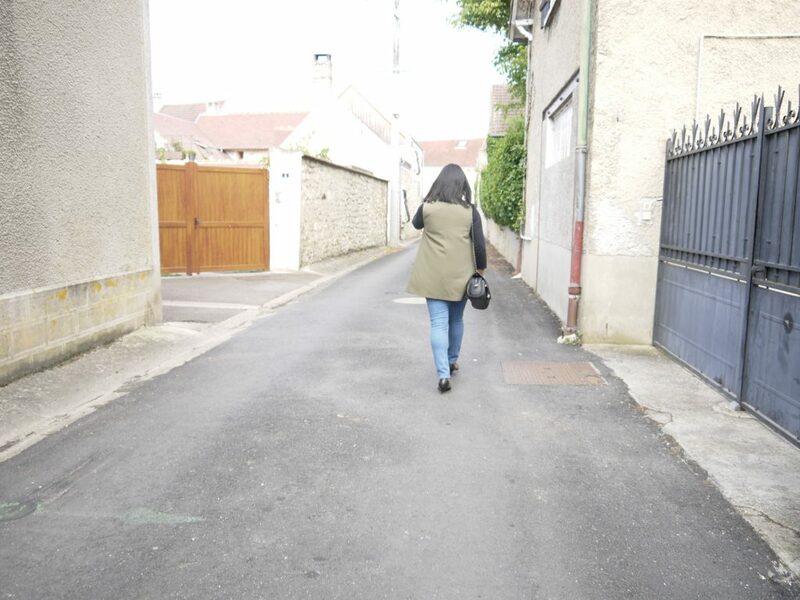 On the second day we were walking around the village and went on a road trip to Paris so I wore something which would keep me warm and be comfortable. 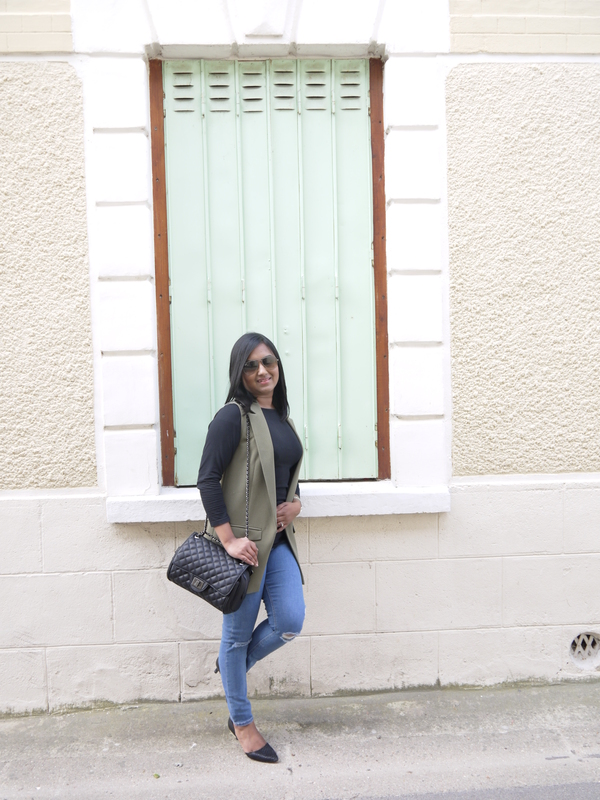 I wanted to buy this sleeveless jacket on my wish list since a long time and was waiting for one to hit the petite section of my favourite store Topshop. 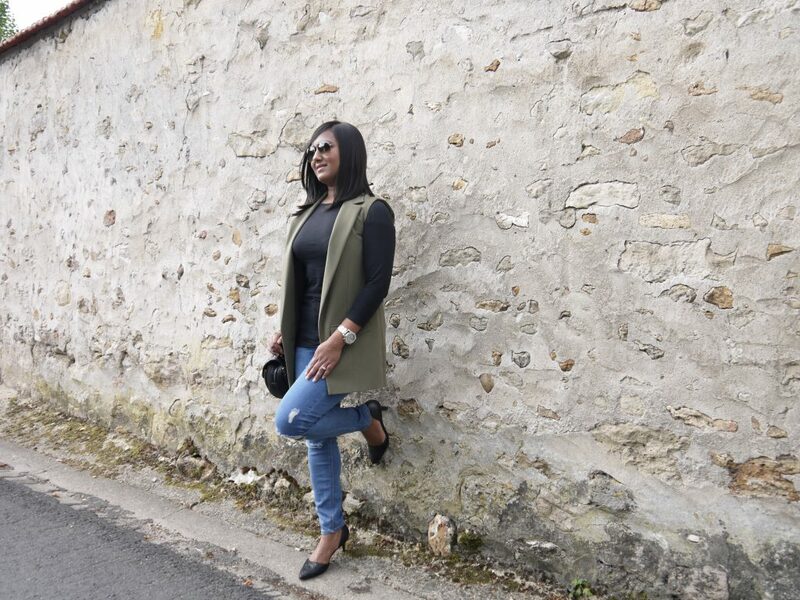 Sleeveless jackets can dress any basic t-shirt and give it an extra glam look. If you are petite and curvy like me it is great to camouflage the backside :P. I completed the look with Topshop skinny distressed jeans, Marc B bag ,kitten heels from Clarks and Rayban sunglasses. Hope you like my outfit. 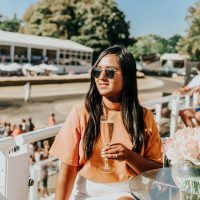 Let me know if you have any petite styling questions, I would love to help out. 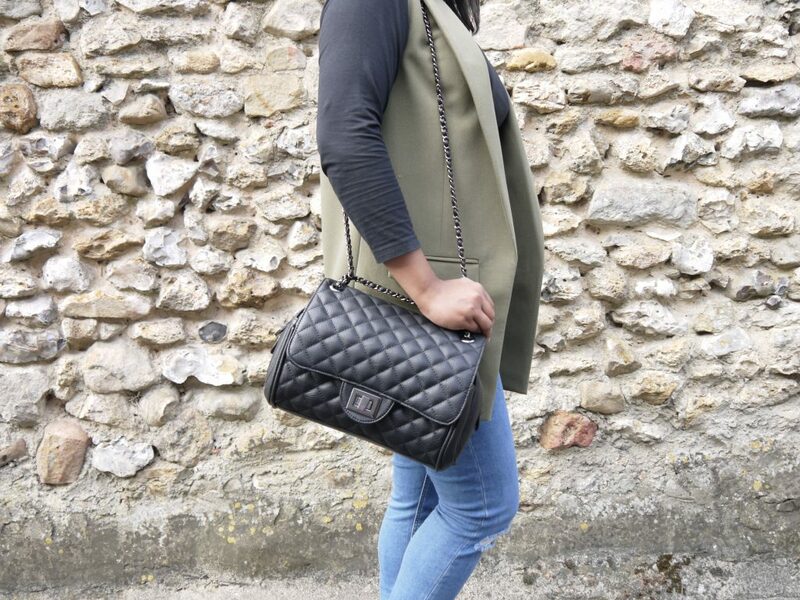 A sleeveless jacket is a great transition piece and all-season too! Love your outfit!!! 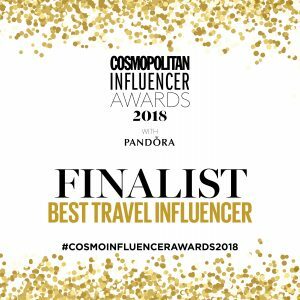 Thank you for hosting XO! That sleeveless jacket looks gorg on you and what a fun trip! I have been to Paris once and we did travel outside to Angers to see a castle. Such a beautiful area, I can’t wait to see your pictures! Such a great outfit! I love that vest! 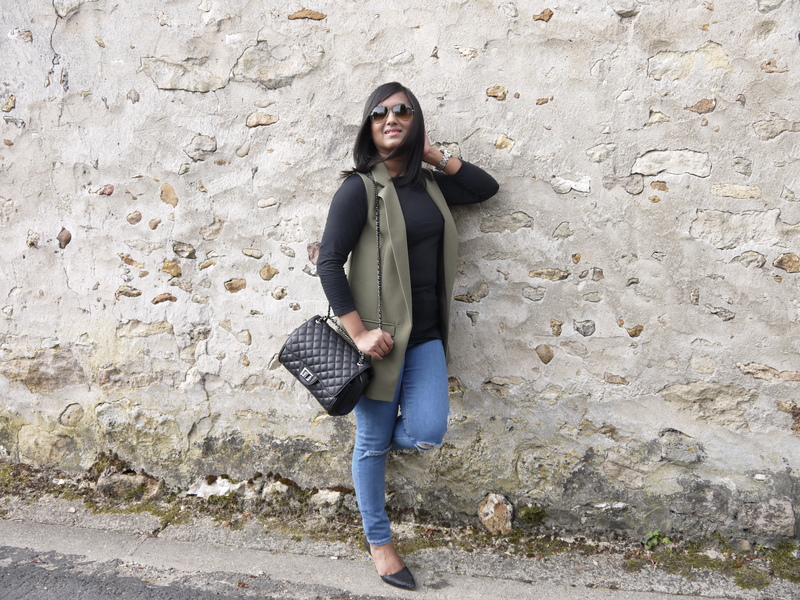 love that olive vest, perfect for france! I love the color of your sleeveless jacket and what a beautiful town outside Paris! 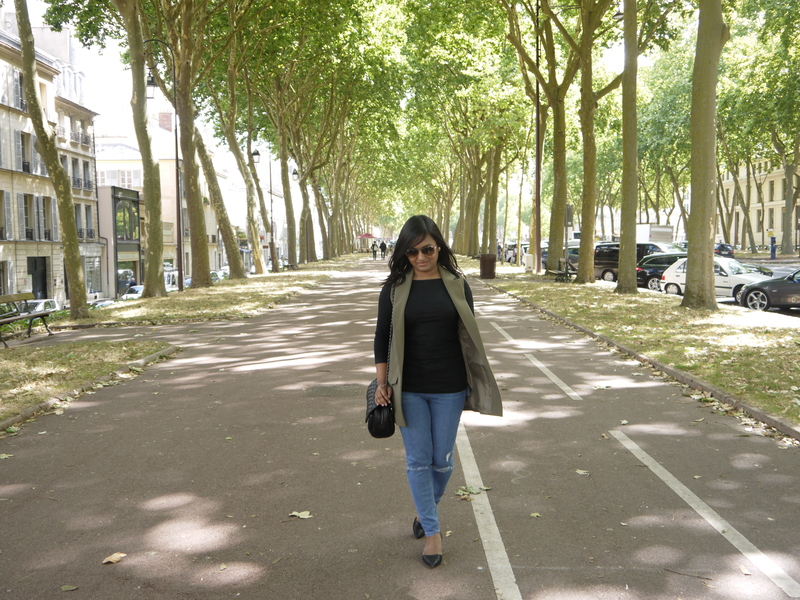 Love the tree-lined street. Great outfit and that vest looks amazing! 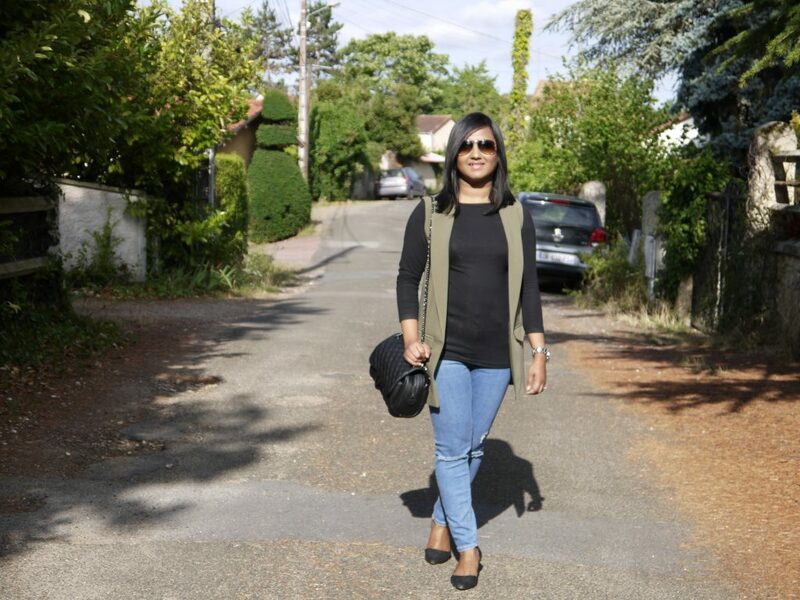 Nicely styled, thank you for linking up at #Linkpartywithosy. Thank you for linking up with us on the Style Saturday link-up last week! I really love your sleeveless vest! I have been considering getting one, but have not been able to think about how I would style it, but I think this outfit would be perfect to transition to fall! !